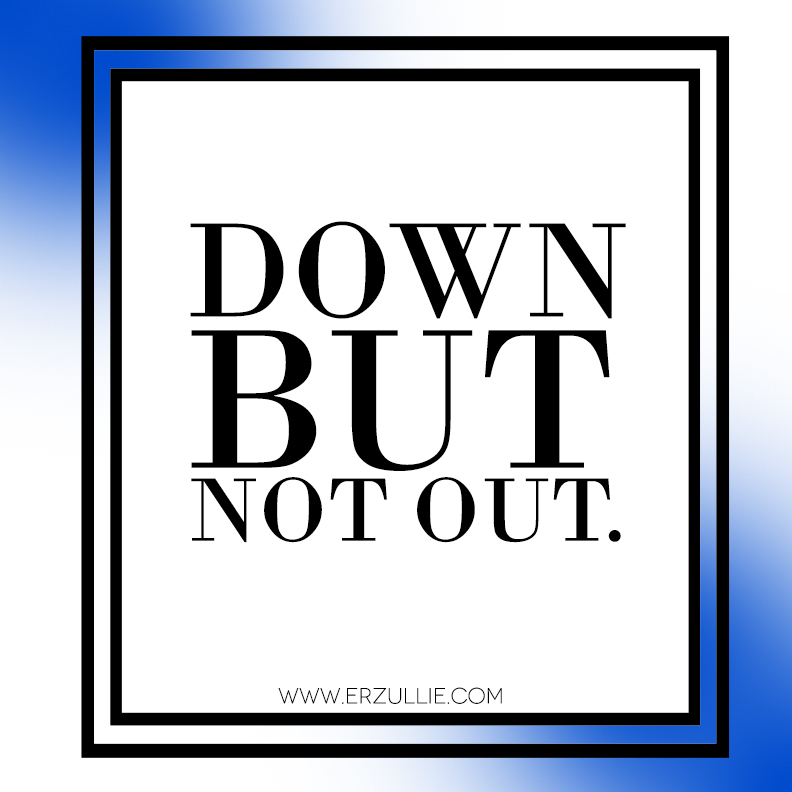 PLUS SIZE POWER: "DOWN NOT OUT"
There will be moments in your life that you feel that you can't go on. Maybe it's the failure that goes with it. Maybe it's all the hardship and you're not sure if it's going to pay off. Just remember, you're just down, but not out. As long as you're breathing, there's still a chance. It only ends when you say it does.